Outfit prices vary based on their complexity, but generally cost $8-$30. If you choose not to have the bear dressed up, your choice of a lace collar or a bowtie will be included. The fur pictured is: Camel/Light Butterscotch. See all available fur styles. 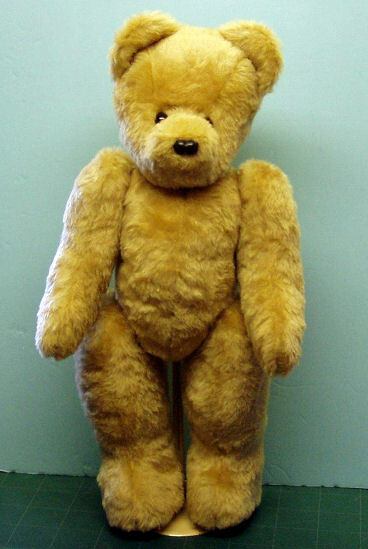 The size pictured is: 24 inch bear (stuffing).